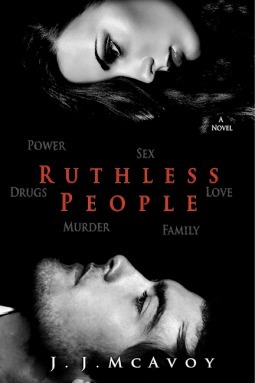 So, I’ve been trying to write a review for Ruthless People for the longest time. The only thing that comes to mind right now is Holy Shift. I bought this one on a whim when I saw a post on Facebook of a reviewer raving about it. She was saying how different and how addicting the book was. I wish I remembered who it was because she was right!!! This book was not what I was expecting at all. The main character Mel is kind of scary. No never mind that; she was terrifying! I’m not used to being intimidated by female main characters. I was little taken aback. This girl did not play. Which it’s understandable since she is a mafia boss and needs to prove herself to her crew just because she’s a female. I got to see a softer side of her in some parts of the book, but I wasn’t fooled. Her nature was to be cruel and ruthless. I can’t say if I liked her or not. I was surprised by the things she did, and she was definitely not a relatable character, but I did appreciate her attitude and how she knew she was the best at what she did. Liam was a little bit predictable, and a little be softer than Mel. He still did terrible things, but he balanced the book. I definitely loved the way Mel and Liam clashed and the things they did to each other were borderline sadistic but you could feel the sexual tension sizzling between them. It didn’t hurt that they both had the same goal, which was to rule the world. The secondary characters were more likable they weren't as mean-spirited as our two main characters, and they had a heart. Something happened with one of Liam’s brother that actually pissed me off so much I had to put the book down for a few minutes to remind myself that this was just a book. It was kind of hard to remember that the people in the book were fictional because everything felt so real that’s one of the things I loved the most about Ruthless People. I don’t know how most people will feel about this book. I was pretty much reading a book told by the villains' POV. I thought it was refreshing, and it made me feel all kinds of weird, but I loved it. Like Carmel, I love that idea as well. Something you hardly ever see for sure in any genre. I haven't seen this one before but I definitely want to try it now.